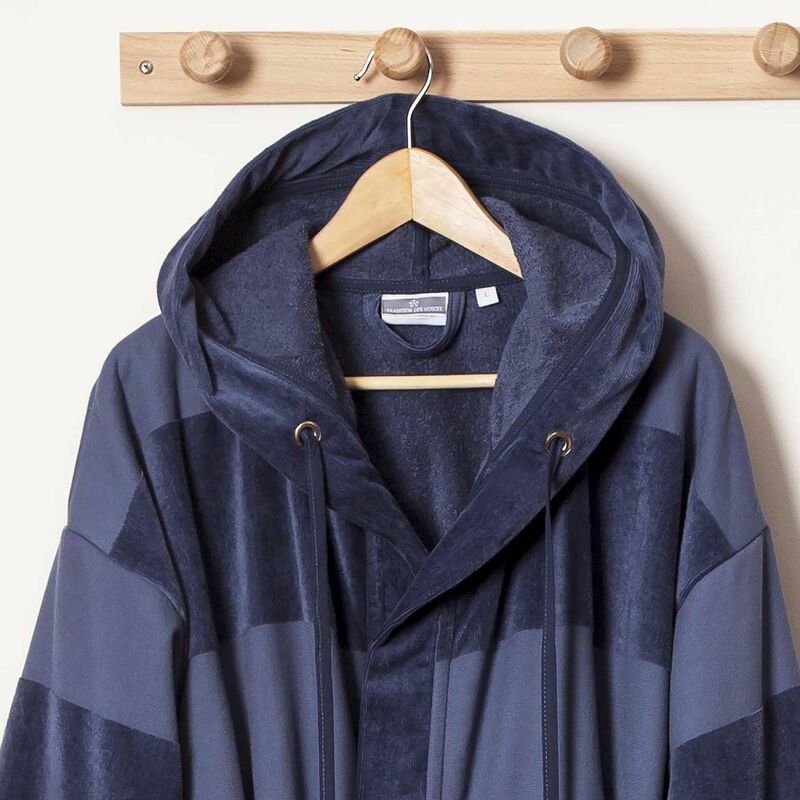 The bathrobe Tom from the Tradition des Vosges brand is made of jacquard velvet on the outside and of a very soft 100% cotton towelling on the inside. 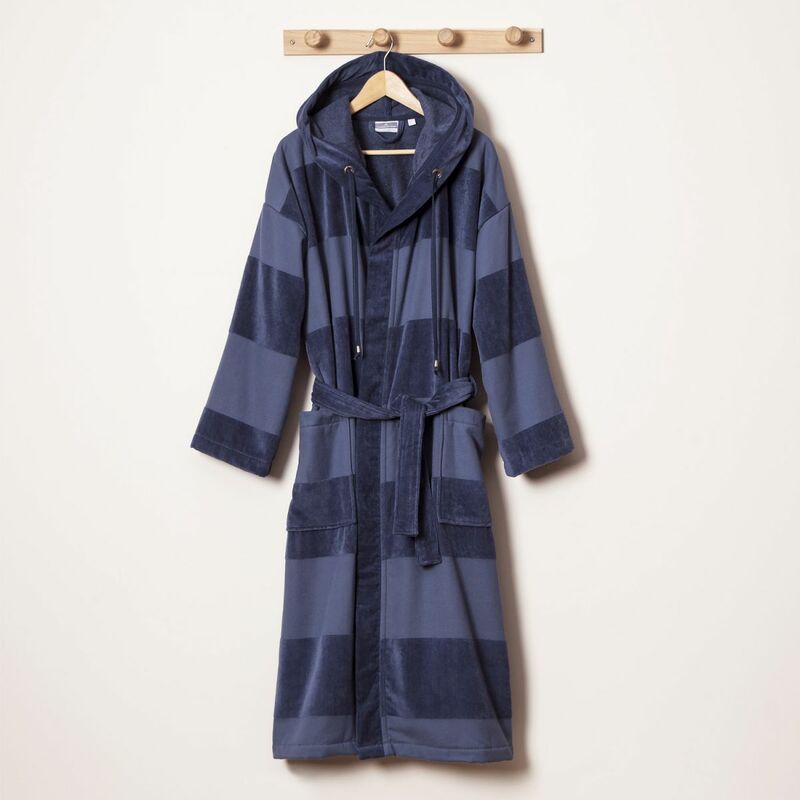 Its fancy pattern of wide anthracite blue stripes makes this bathrobe a casual bath accessory, elegant and masculine. The hood has a drawstring with metal tips for a sporty, casual look. Its velvet aspect gives it a luxury and fantasy aspect. A small solid handle at the neck allows you to hang easily. 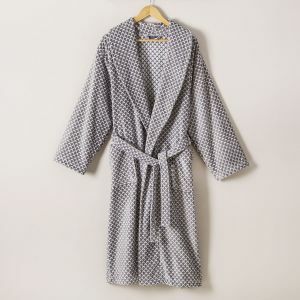 The bathrobe closes with its matching belt to tie around the waist. The belt is held by loops on each side. You will appreciate its two large patched pockets on the front that will hold, for example, your remote control. 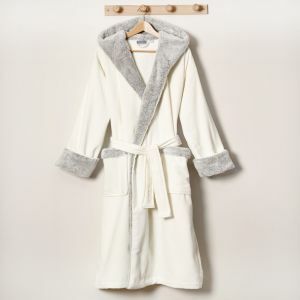 This men's terry bathrobe is very absorbent thanks to its weight of 360g / m². Its thickness and very soft velvet make it an ideal ally to warm you up and spend relaxing and comfortable moments. It is available from size S to XL. For more information on sizes, please consult the size guide. 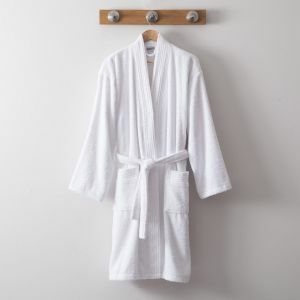 You can check out all the other men's bathrobes by clicking here. 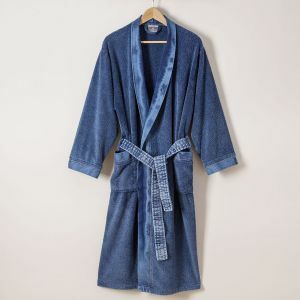 Men's velvet cotton hooded casual bathrobe. Très bonne qualité et apparemment très confortable d'après mon compagnion.